Do you find yourself stressed by some of the personalities and behaviours of people you are trying to manage? Do you dread having to raise an issue with some members of your team? Are you (and others) ‘walking on eggshells’ around one or two individuals? Do you wish you could enjoy rather than feel stressed about the ‘people management’ side of your job. Like most Leaders you probably excel in the skills, knowledge and experience in managing the Task. It’s usually the core professional area you have trained and qualified in. Promotion to management level is usually because you have consistently demonstrated high quality performance. You are probably highly motivated and passionate about ensuring that the job and organisation deliver a good service or product to end-users. Equipping Leaders with competencies in the other two areas: managing the Team and the Individuals is often neglected. 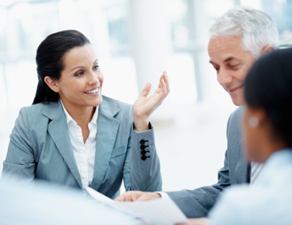 Managers are expected to instinctively be able to acquire the skills and abilities to engage with the people on their team – from performance management to building team spirit and morale; from dealing with group conflict to understanding and bringing the best out of each member of the team as an individual – even people they find difficult to deal and interact with. This two day programme has been designed to help you specifically troubleshoot difficult people issues on your team. 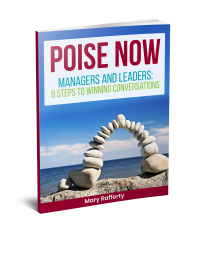 Greater understanding of, and ability to, manage your own reactions and emotions in a difficult conversation. Join us on October 15th and 16th 2015 in the Plaza Hotel, Tallaght. Don’t miss this exciting two-day programme.